1. All details on the form must be accurately and entirely completed to allow the named child to be admitted on to camp. This includes the disclosure of all medical and other relevant details. Sinai Youth Movement Limited will not be responsible for any form of medical consequence which may result from failure to disclose relevant information. 2. In the event your child is on medication, you consent to us or the employees of the building or activity providers administering the relevant medication (including, without limitation, epi-pens if applicable) without obtaining further permission. You also consent to our staff, building staff or activity provider staff administering first aid to your child if we reasonably believe it is required. We also retain the right to administer over the counter medication, plasters and similar medical-related items for minor ailments. In the event that your child requires immediate medical treatment and we are unable to contact you, you authorise the Senior Management Team (SMT) to consent to emergency medical assistance/treatment on your behalf, which may include the use of anaesthetics. 3. The Mazkirut in conjunction with the SMT retain the right at any time to refuse any child a place on camp, without the need to provide any explanation. 4. Payment for camp must be made within the specified time and is refundable in line with our cancellation policy. 5. Those who apply for financial assistance must do so before the application deadline, and are subject to the specific terms of the bursary, which will be made known upon the receipt of a bursary application. 6. The Mazkirut in conjunction with the SMT running camp, in their absolute discretion, have the right to send home any child for any anti-social or unruly behaviour, or for any conduct which the Mazkirut or SMT deem unacceptable and you undertake to make arrangements at your own expense to collect any child that we send home. In such circumstances payment will not be refunded. Sinai Youth Movement retains no responsibility of care for any child whom the parent refuses to pick up and reserves the right to send them home in a taxi with the bill to be sent to the parents. 7. All children must comply with the high Halachic standard expected on all Sinai camps. Details of this are available upon request and are determined by the Mazkirut and SMT on the basis of consultation with the Rabbi of Sinai, Rabbi Alan Kimche. Failure to adhere to this can result in a child being sent home. In such circumstances payment will not be refunded. 8. Sinai Youth Movement Limited accepts no liability for any property lost, stolen or damaged, regardless of cause. Sinai Youth Movement accepts no liability for personal injury or the death of any participant unless caused by the negligence of Sinai Youth Movement Limited. All insurance must be obtained independently. 9. 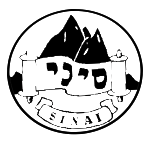 Sinai Youth Movement Limited accepts no responsibility for losses or additional expenses in the event of cancellation or change due to any event outside the control of Sinai Youth Movement Limited (including without limitation strikes, disasters, war or the threat of war, acts of terrorism, weather or sickness). 10. Camp staff shall have the right to search every child and their possessions, at any time during the duration of camp for prohibited items. 11. You undertake to compensate Sinai Youth Movement Limited on demand for any damage caused by your child during the course of camp (whether to buildings, property or otherwise). 12. The compensation amount shall be determined by the SMT acting reasonably and you accept that where Sinai Youth Movement Limited is required to compensate a third party for such damage, the compensation amount shall be equal to the amount paid by Sinai Youth Movement Limited to such a third party. 14. Sinai Youth Movement Limited may process the enclosed information for administrative purposes. By accepting these terms and conditions you acknowledge that this information may include sensitive personal data and you agree to the processing of this information by Sinai Youth Movement Limited for administrative purposes. All personal data that you provide will be held and processed in accordance with the Data Protection Act 1998. 15. You consent to your child participating in the activities run as part of camp (including those run by third party activity providers). 16. In the event of a child leaving during the duration of camp, payment will not be refunded, other than in exceptional circumstances and at the absolute discretion of the SMT and Mazkirut.